The 23rd of August marks the Limit of Heat. This solar term marks the period at the end of the "dog days of summer". We have experienced a very hot season. With the intense, prolonged heat, and increased humidity our bodies, our minds, and our emotions have been held in a pattern of intense kinetic activity. Reflecting upon the summer, take note of the periods of intensity. Notice the flares of communication, of conflict, of joy, and passion. Take these experiences to heart. The seasons are shifting and the predominant heat of the Fire phase and the lasting humidity of the Earth phase are waining. Begin to take note of the absence of heat. Notice the aggregation of coolness. As you hear the sounds of the cicadas, look to the trees for wisdom. Notice that their growth continues at a constrained level. The plants are not growing as tall. The grass is not growing as fast. The harvest is coming in at a slow and steady tempo. The days are noticeably shorter in length. With the increasing darkness, the season is beginning to draw towards a sense of balance. With the Autumnal equinox approaching, we enter a time when it is vital to take note of our resources. As we continue to gather the fruits of our labors, we welcome the season of Metal. Just as a knife is used to cut vegetables from the vine, the Limit of Heat reveals to use the importance of cutting away excess. The fall belongs to the time of the Metal element. The Metal element is represented by the organs of the Lung and the Large Intestine. The metaphor of the elements is represented in our ability to breathe in and exhale. Our harvest is limited to the extent that we are able to let go. We can not store everything. We have a finite capacity to our pantry. Our charge is to select the best fruits and vegetables to store and process for the coming winter season. If we gather without restriction our larder is sure to be impacted by rot. Not everything is worth preserving. The charge of the fall season is to identify that which is important and eliminate that which is no longer required. Attuning to this energetic is very important. Allow its wisdom to guide your physical, social, environmental, and personal relationships. By selecting the most promising fruits of the season, we gain healthy seeds to be germinated throughout the winter. Autumn is the Spring of the Fall. Take time to clean up, let go, and notice the most important aspects of your life. Give thanks and be grateful for our perpetual harvest. Using Tea Qigong to attune to the season of the Fall, we can practice drawing useful distinctions from our tea. Take more time to examine the quality of your tea. Notice the leaf structure, how it was processed, how well it has been stored. 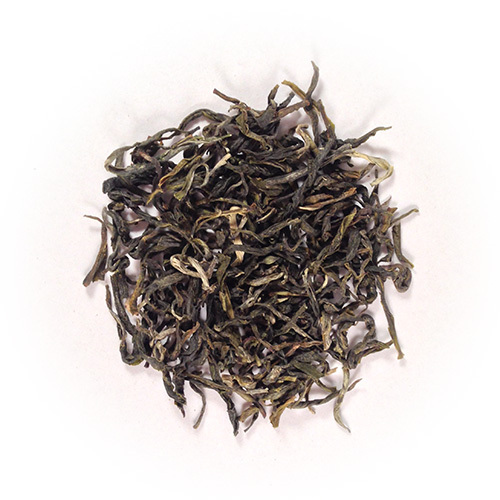 Take notice of the many changes between the dry leaf and the wet leaf generated after infusion. Notice how the leaf has changed. Take time to notice how each infusion of tea takes on a different character. Compare the first, second, and third infusions. Note the changes in infusion color, the alteration in aroma, and the way the tea sits on your tongue. The metal element is about discrimination, refinement, and distinction. Make a concerted effort to be more critical and cut away that which is not needed. As attuning teas, we want bring coolness into our system. Green teas have a cooling, bitter nature. Their Qi draws our energy downwards. 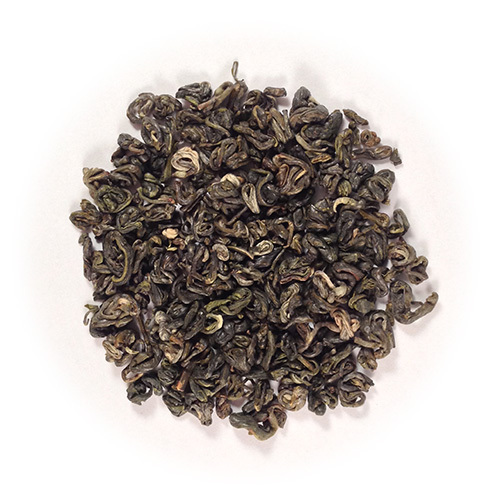 Try Three Rivers Tea's organic Small Green Spiral and Ancient Green Teas. Both of these teas are harvested from the same old growth, wild trees grown in Yunnan, China. Only the processing methods are different. Take time to brew the teas side by side and notice their vastly different energetics. Consciously Limit the Heat in your life. Begin to let go of excessive activity and cultivate refinement.